Aspen Vision City is the first mega development in the Northern Region to offer smart services through technological advancement. One of the biggest mixed developments in Penang, Aspen Vision City, is emerging as the only Central Business District (CBD) in Bandar Cassia, Batu Kawan. Upon completion, Aspen Vision City will be the first metropolis to be equipped with cloud infrastructure and smart services to offer a unique and special style of living. 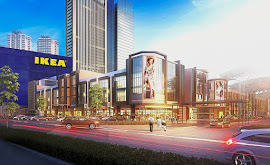 The upcoming integrated commercial and CBD district is a prestigious project jointly developed by Aspen Group and Ikano Pte Ltd. With a Gross Development Value (GDV) of RM10bil, Aspen Vision City comprises of residential, serviced suites, office towers, commercial business district, Ikea, regional shopping centre, international hotel, international school, skyscrapers and a 25-acre Central Island Park that serves as the green lung of the mixed development. 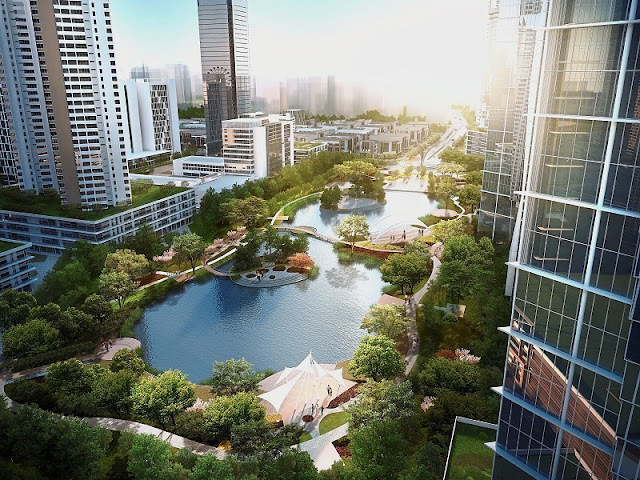 Aspen Vision City, which spreads across 245 acres of prime freehold land, has been successfully transformed into a smart city through a collaboration with IBM Malaysia Sdn Bhd and Telekom Malaysia. A total investment of RM100mil, with an initial investment of RM10.3mil has been projected for the basic infrastructure that will hold the upcoming Cloud technology. As Aspen Group has synergized with IBM Malaysia to build the first cloud infrastructure in Malaysia, Aspen Vision City is set to become the first city in the country to utilize cloud services that enables smart city’s services and solution. The viable agreement between Aspen Group and Telekom Malaysia is also vital in facilitating the deployment of Smart Services, high speed telecommunications as well as Information and Technology (ICT) services in Aspen Vision City. The comprehensive cloud infrastructure provides a vibrant and agile virtual eco-system that would be able to aggregate a community with diverse expertise and skills. The imperative digital platform is beneficial for multinationals, local businesses, start-ups and residents to maximise their participation in the digital economy. Aspen Group has also collaborated with Antah Schindler Sdn Bhd, a world-renowned name for trusted mobility solutions that have been used by over 1bil people around the globe, to enhance the value of the Vervéa commercial precinct. Through this partnership, all 441 units at Vervéa will get its first Schindler smart digital urban mobility solutions and systems. The integration of Schindler’s Smart Digital Solution provides Vervéa with intelligent elevator dispatching system that delivers first-class traffic performance, smart personalized passenger services as well as security access control systems. As the 3- or 4-storey shop offices are equipped with intelligence mobility elevators, each tenant will enjoy seamless transit, efficiency, security and convenience. Furthermore, Schindler utilises Predix, a proven digital platform in advanced analytics to further its efforts in the Internet of Things, predictive analytics, machine learning and in providing intelligent digital solutions, to enhance its capabilities to monitor, analyse, and leverage data generated from its connected elevators, escalators and PORT technology. Hence, the agreement allows Aspen Group to leverage on and take full potential of the Industrial Internet in the form of the GE’s Predix Platform. In addition to the intriguing combination of residential developments, commercial buildings and everything in between, the mega-scale project also consists of a wide range of top-notch facilities and amenities such as tree-lined boulevards, eco-inspired landscape, pedestrian walkways, cycling paths, outdoor fitness equipment, jogging track, reflexology area, lake, picnic and sitting area with various park facilities. 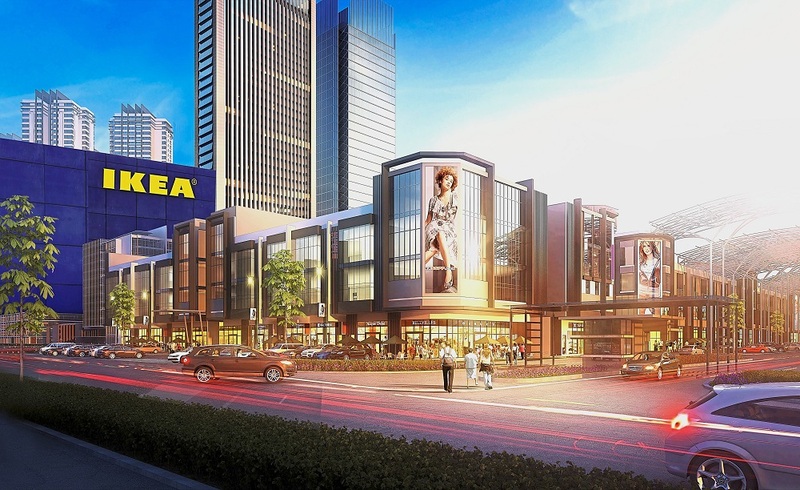 As of this month, what’s confirmed in Aspen Vision City are popular furniture appliances franchise IKEA and a regional shopping centre, both managed by Ikano Pte Ltd, Columbia Asia Hospital, Vervéa gated and guarded commercial precinct and an integrated financial hub. Strategically situated at the landing point of the Sultan Abdul Halim Mu’adzam Shah Bridge (the Second Penang Bridge), Aspen Vision City is surrounded by first-class infrastructure linking it to Penang Island and numerous key destinations on the mainland and neighbouring states. There are also plenty of amenities within the vicinity of Aspen Vision City due to the excellent connectivity and accessibility.